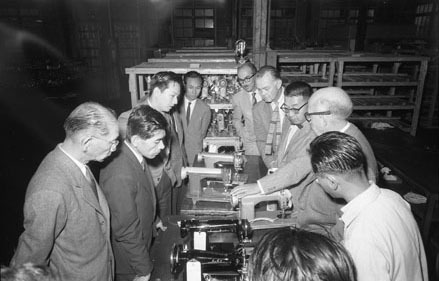 Art Center representatives touring the Juki Sewing Machine company factory floor in Tokyo, 1956, (2004.83.6.2). Photographer unknown. Gift of Carson Pritchard. 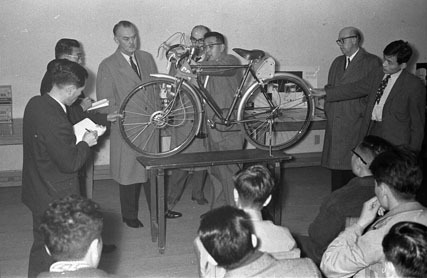 Art Center representatives examining a bicycle during a presentation in Nagoya, 1956, (2004.83.185.10). Photographer unknown. Gift of Carson Pritchard. By Robert Dirig in Uncategorized on June 26, 2013 .